when you hire Lawn Service help. Lawn Care Companies are as numerous as bugs in a garden. Which is best and most appropriate for you? Would you like to confidently evaluate several candidates before making a selection? This is one in a series of articles designed to assist you in making this decision as an informed homeowner. The detailed information in this guide will help you to understand the specific differences between lawn care companies. What can you reasonably expect or demand from lawn care companies? This article will present you with insight and questions to ask the representative of any lawn maintenance or service company you consider. An alternate thesis, Guide #1: How To Select Lawn Care Services, focused on what you should ask yourself first, before you talk to an estimator. Be sure to review all aspects of your situation found in that guide, so you can provide pertinent information to the lawn care companies. This is the only way to get the best value and most satisfaction from a lawn care professional. Let’s get started now with a comprehensive look at the things everyone needs to consider when hiring lawn care companies. What basic or special lawn services do they offer? Some independent guys (or gals) focus on just mowing, blowing and going -- on to the next yard. Other people and especially those with multiple crews, and also franchise lawn care companies, offer a full spectrum of lawn or yard services. A reputable company may or may not present a list of services they can perform. It is certainly helpful for you to see such a printout. However, some competent and trustworthy individuals may not be so savvy in the marketing department, so don’t base your selection on a fancy brochure alone. Don’t be impressed by a slick salesman that large lawn care companies often send out. He/she doesn’t get a commission unless you sign a contract. They may promise a yard that looks like the cover of a gardening magazine if you contract for all their services. You should have determined already what you need and want. (If not, don’t miss Guide #1.) Listen to their offerings, but hold your conclusions until you get all of your questions and concerns answered. Find out what role your contact person plays: is he/she a salesman, an estimator, a supervisor, the owner/operator, or an administrative person? Does that person have the knowledge and experience to advise you on a service? Do they have the authority to give a quote, and obligate the lawn care company to perform as promised? Who actually does the work & who supervises? Will the same person or crew be doing the work consistently? What kind of training have they received, especially for any specialized tasks? Will someone on the job always be able to speak your language? Can you request a different crew member if you have good reason to do so? It is worth asking each of the lawn care companies if their own employees perform all the lawn care services they offer, or if they sub-contract certain tasks, like lawn aeration or tree trimming. This could affect both the rates they have to charge, as well as the control they have over the finished product. Can you change (meaning add or subtract services) at any time without a penalty or without restriction? In other words, you don’t want to be contracted to a range of services that doesn’t meet your needs or desires at a later date, without knowing everything that some lawn care companies put in the fine print. Will you be obligated to continue a service against your wishes just because you signed up for a package deal? A contract for services (discussed later) should inform and protect both parties. But be cautious about committing yourself to a situation that leaves you little recourse if important or unexpected circumstances necessitate a change. A few lawn care companies will have a printed fee chart to show you. Most won’t offer that, because of so many variables in quoting a job. This includes the size of the lawn, configuration of the terrain, obstacles, fences, how much edging relative to lawn size, location, and much more. For reasons not apparent, a neighbor may get a different rate than you, for lawns that appear similar. Or yards that seem quite different may get the same flat fee charged. It depends on so much more than just the amount of time they may actually spend on your yard. Get a written quote or estimate. It should be detailed enough to allow you to know exactly what you will be paying for. A quote should specify if fees are weekly or monthly or a fee per each visit. Be certain to find out how changes in the calendar month will affect your billing. How long will the fees be valid, and will you be notified prior to any increases? Large franchise companies may present introductory offers. Clarify what changes may happen, and why and when. All businesses should give advance warning of fee adjustments. Fuel surcharges may someday become common, like delivery companies already apply. If you face such a charge, ask if it is permanent, or flexible. What do they charge for a simple mow, edge & clean up? Always ask for that amount, even if you expect to sign up for a complete package. It is a valuable comparison gauge. How do they charge for multiple services? A flat monthly fee that includes all work done or needed? A basic service fee plus additional charges when certain tasks are done? Do they charge separately for materials like fertilizer, or include it in set fees? If they charge you tax for materials, all items like fertilizer, sprinkler parts, plants, etc. should be listed separately from any labor charge. Materials are taxable, labor is non-taxable. Be diligent! If you planned to buy a new car, you would investigate the charges for all possible options that might come with the vehicle. Do the same with lawn care companies. Don’t be afraid to ask what they charge for different services, even if you may not need them all. That knowledge will help your comparison shopping efforts. Especially ask what they do not include in their various charges or package deals. Inquire about any extra fees or unexpected expenses some customers might incur. Some homeowners desire to provide their own lawn care products and have the landscape maintenance company apply them. Is this reasonable? You may be thinking you could save money that way, right? Yes, typical lawn care companies will charge you more for products than you would pay at the retail outlets. However, they deserve to be compensated for the time they spend acquiring, storing and hauling chemicals so you don’t have to. Larger companies tend to have a higher mark-up on products than an independent business, but not always. It pays to be aware of comparative values of any lawn care product you might need. (Preaching From My Soapbox: If you offer to reimburse an independent landscaper only the cost of a bag of fertilizer, and nothing for his time or vehicle expense to obtain it, that is unreasonable. On top of that, some people expect to get the advantage of any professional discount he is entitled to from wholesale vendors. Do you deserve that? Unless you are willing to reciprocate with a ‘professional discount’ on services you provide to him, like dental care or tax service, be an honorable person. You don’t expect a discount from your grocer, plumber or dry cleaner. And how would you like it if he asked you to approve a “work discount” -- to do only 80% of your lawn this week? Many lawn care companies will not want to accept the responsibility for the lack of positive results (or potentially having negative ones) when people buy certain products, especially off-brand, budget labels or outdated stock. So they may not be willing to apply your products, but you can always ask. When applicators for lawn care companies use the same reliable products consistently, they are knowledgeable and time efficient with applications and it allows them to be more effective with safer, predicable results. How do weather changes or unexpected events affect a monthly or weekly charge if service is not possible? In cold winter areas, do they provide alternative services to their regular monthly customers in the off season like snow-blowing, leaf collection, furnish firewood, etc.? When will the warm season services be discontinued, re-established, and are there any carryover fees? How do they invoice you, when is it due, what type of payment do they accept? Lawn care companies will typically be required to obtain and maintain certain regulatory permits. This will vary according to requirements at the state, county, and city levels. In some areas, a person who mows lawns exclusively, with no other services offered, may be exempt from licensing requirements. You can call your county or city office that handles business licenses to get some information on this. To investigate further, try contacting your State Agricultural Department or State Contractors’ Board (and look under lawn care, landscapers, or gardeners). A BUSINESS LICENSE is the most basic item. This does not determine how qualified anyone is. It just registers them with the local government agency as a means of control; for awareness of who is working; or for taxation. A PROFESSIONAL CERTIFICATION, like the PLCAA (Professional Lawn Care Association of America, or the Lawn Care Association of your State is optional. Membership in these organizations suggests that these lawn care companies take a more professional approach with their business. Certification may require demonstration of certain standards of knowledge or experience. It may simply require registration and fee payment. In either case, it indicates a professional attitude and a desire to stay informed, capable and current on landscape issues. All applications of any chemicals must observe strict guidelines. Applicators for lawn care companies must pass intensive exams to qualify and receive a license. This must be updated regularly for the protection of people and the environment. LIABILITY INSURANCE is a safeguard to protect both you and the businessman and his employees in the event of damage to your property or any personal injury. Not all lawn care companies will have this. Ask them! You should also know what your personal homeowners insurance policy will cover or deny when dealing with any contracted or occasional services. Find out! You are entitled to see a copy of any license that lawn care companies are required to possess. Realize that an individual or company invests time and money to obtain any necessary or optional license or certification. This may be reflected in higher charges when compared to someone who does free-lance work without observing laws or protocols. Does a license guarantee higher quality performance? NO! --- that depends on the training and integrity of the individual. Should you hire anyone who does not have these permits? People do, but they assume the total risk and liability when they take this approach. If you merely want to hire a student to mow your lawn (if you can find one willing!) that is one thing. But do you want to hire any unknown person with a truck and mower? To trust that nothing will go wrong, and leave yourself without recourse if it does, is a questionable way to save a few dollars. It is wise to expect that anyone offering their services to do a job for the public should be willing to pursue the necessary steps to work in a legal manner. a franchise, which could be a local, regional or national operation. There are advantages and disadvantages to each type of lawn care service business. A separate article will deal with these. At this point, just keep in mind that your satisfaction will be determined by the integrity, knowledge and effort of the person doing the work. Be alert and use sound judgment. A piece of paper may demonstrate intention, but the proof is in the performance. The days of a verbal agreement and a handshake are often called the good old days. Those days are gone for most of us. A contract defines expectations and provides a measuring tool for satisfactory performance that deserves payment in return. If you want to avoid surprises and disappointments, as well as protect yourself and your property, you should insist on a contract. It can be a simple one, provided it establishes all the services that will be performed. A contract from lawn care companies should specify what work will be performed, how often, in what manner, and for what fees. A good way to consider what is important in a lawn care services contract to is look at the project as if you were telling someone step by step what to do. Imagine you are going on vacation and the neighbor is going to take care of your house and yard. You make a list of every detail that is important. If you don’t mention it, this substitute caretaker doesn’t know it needs to be done. If you are uncertain about all the necessary steps, ask the contractor to list everything they typically do, step-by-step. When your contract specifies all the tasks, there is little chance of a misunderstanding about getting what you want, and paying for what you get. For example, if you expect trimming around the sprinkler heads every week versus once a month, the contract should specify this. A CONTRACT is an opportunity to define what is, and what is not, the responsibility of the lawn care company. All of the earlier discussed information about fees should be included as well. Some operators may simply function with their quote as an estimate and contract. That is all they want and need to establish a working relationship with you, once you add your signature. Accept that if you are satisfied. But if there is anything that needs to be clarified, a contract is the place to do that. You may be thinking, “Good Grief! I just wanted to get my lawn mowed! Do I need to hire an attorney!?! ?” Probably not, if you can trust your good judgment. But be alert to potential disagreements or damage that might occur. Protect yourself by providing some form of documentation that specifies the understanding you have reached with the lawn care companies you engage. The obvious question you might think to ask is how much experience do they have and how long have they been doing this as a business. Go ahead and ask. Also, if they have taken any classes or training in the gardening industry, that adds to the credibility of their business. Experience and training becomes more important with additional services you intend to engage. But it is not the only thing. As mentioned before, your satisfaction depends on the person(s) doing the work, and loads of experience won’t compensate for lack of motivation to do quality work. So you want to find out what they can do and what they will do! This leads to the next issue. The most qualified person cannot serve you well unless they are reliable. Does the lawn care company promise to maintain a set routine? If a change is necessary will they notify you, or will they initially provide an alternative plan so you know what to expect? Do they promise to return phone calls, and how soon? The major complaints of homeowners include the failure of lawn care companies to communicate with them in a timely manner or to show up when they say they will. If an estimator doesn’t show up within a reasonable period of time, or doesn’t call if delayed for an appointment, don’t expect the workers to be any more dependable with their performance if you select them. Good customer service with any business starts at the top and follows down throughout the organization. What kind of schedule do they follow? How often do you think you need the service compared to what they recommend? What frequency options do they offer? How important is it that you have a particular day or time for service? Not all lawn care companies will be able to accommodate such a request. Some people like mowing done on a Friday in preparation for a weekend; or only when they are home; or only when they are not home…etc. Lawn care companies will appreciate a client who is flexible. But if your household has a person sleeping during set hours of the daytime, this is a critical issue. Are you willing to pay extra to be accommodated as to your particular preferences? If they have to vary the expected routine (in bad weather for example), what is a typical change or adjustment and will they return to the original schedule? How do they adapt their schedule to bad weather? Occasionally lawn care companies may have to change a schedule due to unforeseen circumstances (such as equipment breakdown or traffic difficulties or health issues). They will not be able to notify you ahead of time, but will they be in touch later? Contact within 24 hours would be a professional response (unless you have a set understanding for such situations). Mowing and edging can be considered the basic items that lawn care companies provide. Infrequent tasks, like fertilizing, applying chemicals, trimming hedges, weeding, and others will need to be pro-rated. How often do they expect to perform other occasional tasks (depending on your agreement)? The frequency is directly related to the fee schedule. You don’t want them to do something before it is needed, if you are on a pay-for-each-item basis. But you don’t want them putting off something that needs attention, if you are on a monthly complete services arrangement. Realize that some companies may try to talk you into more services than you intended. You expect this when you take your car to be serviced for an oil change, so you prepare to refuse new wipers and air-freshener and battery terminal detailing. But when lawn care companies start to pitch how desperately your grass and plants need to be rescued from some desperate ailment like not measuring up to the Jones‘s yard, you may be caught off guard. If you don’t know that much about different gardening needs, develop the fortitude to 'Just Say No' until you have a chance to think about it. 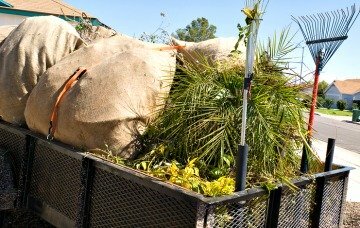 Does the company haul off the yard waste or leave it with you? This may depend on community regulations, but it would obviously cost them more to remove and dispose of the debris. Some independent lawn care companies can provide you with a lower bid if they can avoid this. Does the company offer an option to clean up without blowers if requested? You may be personally opposed to the noise, or have legitimate reasons to avoid them. 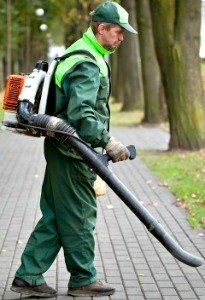 Some municipalities restrict or prohibit the use of leaf blowers for yard care clean-up. Do they have all the proper equipment for the lawn care services they want to provide? For example, some lawn grasses, like hybrid Bermuda or bent grass, look better when mowed with a reel-type mower instead of the typical rotary mower. Also, do they follow standard safety procedures? If you will have pruning done on hedges, shrubs, trees, do they use power or hand operated tools? Along with that, do they have proper knowledge of approved techniques for pruning? What about the age and condition of vehicles and equipment, are they newer or older? Not that shiny guarantees better results. But if you would be concerned about possible oil stains on concrete or patio areas from aging equipment, keep that in mind. Let lawn care companies be aware of your expectations from the start, before something occurs that would disturb you. Do you need someone who can install, or troubleshoot and repair, or maintain your irrigation system? Not everyone who offers lawn care services is qualified in this area. It may not be rocket science, but there is a science of irrigation. It won’t require more than common sense to replace a broken sprinkler head. However, if you have a poorly designed irrigation system, or want to install a new one, you must have a qualified person tackle this. Ignore this fact, and you can spend a lot of money only to get a lot of problems. Confirm if the lawn care companies have the knowledge and expertise to produce an efficient system. Check the credentials of any service training they claim, or ask for a reference from a satisfied customer. Irrigation is one of the most critical areas in which you cannot afford to make a mistake. You should ask if they offer a reasonable/competitive price for irrigation work, especially if they are providing regular service to you. But also get comparative bids from irrigation specialists before you commit. It may not happen very often, but some homeowners notice that they seem to have more of a weed problem in their lawn after they begin lawn care service. What to do? Ask if they take any precautions to avoid infecting your property with weed seeds, bugs or diseases from another client. Lawn care companies maintaining an established gardening route should have weed problems under control. It does happen though, that a new customer may have an infested lawn, or one client may present a constant battle because of neighbors who are slack in their weed eradication. A yard with pets may transfer fleas into the catcher bag on the mower. When this is the case, a wise gardener will at least hose off his equipment, or spray it, prior to leaving such a location, to avoid transfer of such pests. A more serious issue would be disease transfer. Again, it is the gardener’s responsibility to be alert to disease presence. Rust is a very common problem. Spraying equipment with a fungicide or bleach solution should be standard procedure in such cases. Ask the lawn care companies if they are this diligent. Using alternate mowing patterns on subsequent visits to prevent compaction or ruts. Keeping mower blades sharp to avoid torn edges on grass tips that will turn brown. Being cautious around trees to avoid damaging tree bark with line trimmers. Lawn care companies must follow these and other tricks of the trade that can significantly impact the health and appearance of your landscape over time. What if you are dissatisfied with the performance of the lawn maintenance company you have selected? Do they offer any guarantee of satisfaction or stipulate a recourse if something is done incorrectly or inappropriately? Lawn care companies should be willing to make it right, unless your expectations are quite unreasonable. This emphasizes the need for good communication throughout this relationship. In serious cases or disputes, the homeowner can contact the provider of a business license or professional certification, to put pressure for resolution. Hopefully, you will never be in that position if you have been conscientious in selecting a company. Are references available from current or previous customers? If so, check them out. Obviously they would be satisfied people rather than ones who experienced problems. But you may learn a lot, and it should give you some assurance. A genuine reference from a factual customer (not a friend or mother) should be able to give specific reasons or examples why they appreciate the work of particular lawn care companies. 7. DECISION TIME: One Left Standing! Have you identified the factors that apply to your situation, or address your concerns? You might want to go back through the article and write down the pertinent questions to ask the candidates you interview for lawn care services. You might want to investigate some of the critical issues through a phone conversation initially. This would save you and the estimator the trouble of meeting if you can discover basic incompatibilities. Before getting an actual quote, however, all lawn care companies must see and evaluate your lawn condition and yard layout. Don’t be shy about asking questions. If you don’t understand the reason given for a certain approach or fee, ask for clarification. If you feel intimidated by one individual and not others, trust your instincts. Don’t jeopardize your peace of mind because it might save you a few dollars a month. Do realize that to the extent you have special requirements for service that are unusual or extraordinary, this will impact the fees you are charged. So be certain that all individuals who offer a quote are clear and specific in their understanding of your needs. Do you get what you pay for? Is a higher fee necessary to get the best performance? Absolutely not! An individual lone ranger may have lower operating costs and provide better service at a fraction of the cost, compared to an image-conscious large company. There is no substitute for your research and investigation. If you can get a reference to contact, call that person. Be diligent now and rest easy later. If you have some hesitation about your choice, but need to make a selection quickly, then ask for a trial period before committing to long-term service. Lawn care companies ought to be willing to demonstrate their ability and willingness to perform. There is plenty of competition out there. No need for you to lose sleep over it. Think through what you need and want. Communicate with your maintenance man and if necessary the top man, when something is amiss. Please! Give him/her a chance to correct any problem areas, before you go ballistic! If a change is necessary, no regrets, just move on. Chances are, you’ll make a good choice the first time around! Lawn Care Services: Guide #1 Think about what you need, what you want, before you get ready to pop the question! Lawn Weeds general info page. Maybe it's not the brown that bothers you. Maybe it's too much green -- but not grass -- it's weeds galore! Read this, then decide if you want to tackle it yourself. Thanks for visiting The Garden Counselor site. If this has been helpful to you, please recommend us to others. a list of best management practices that a professional lawn care business should observe so you can expect and get the best service without having to look over their shoulder. So bookmark this site, and come back often, or hook up with our RSS feed!